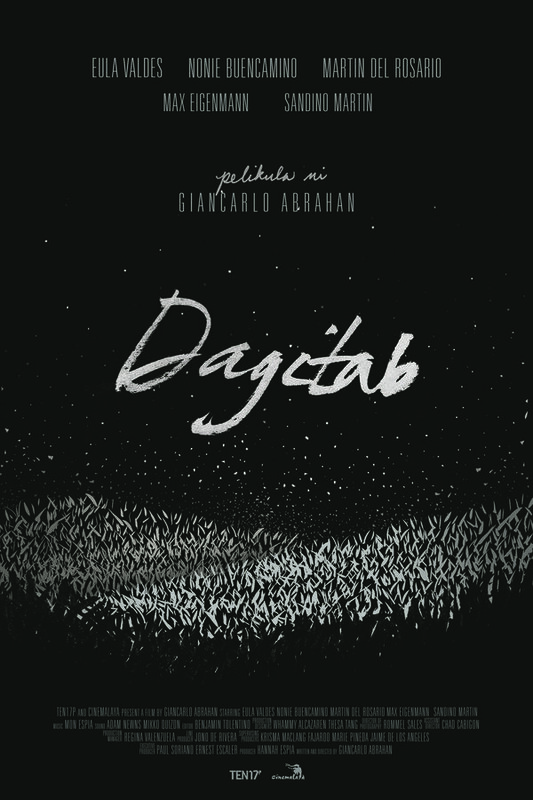 This is a review of Dagitab, a film by Giancarlo Abrahan that competed in the New Breed section of the 2014 Cinemalayà independent film festival. It is a rather difficult film; of course what I present here is merely my personal experience of the work. I imagine the film easily yields to many different interpretations. Before dealing with what the film is about, I’d like to take note of the film’s style. It is partly defined by vague sequences: whatever visual clarity Dagitab possesses is counter-balanced by the subtlety of their meanings. The scenes do not always have a causal follow-up, nor do they always have a sensible precedent. The film’s last scene exemplifies this: we find the characters nonchalantly discussing their next plans, and these are plans that seem to utterly disregard the build-up of the last few scenes. I was left with the feeling that after all that had happened, I still didn’t know the characters. The incongruity is likely meant to be a subdued twist, a subtle surprise that is unfortunately difficult to make sense of. Delightfully though, Dagitab is complemented by its poetic quality. There is a striking shot in the middle of the film of one of the main characters where, after turning on the radio, he sits on his working chair, leans back and closes his eyes. The camera lingers on the scene. It was quiet, and yet it was brilliant as a characterization of this mysterious character. I never understood what was going on in his mind at that point, but never did I feel the urge to know. It was a moment meant to be taken without question, a poetic image to be enjoyed on its own. I’m currently living in the neighborhood of what is called one of life’s milestones. It’s also a place someone has called a pre-departure area. I’m about to graduate from college. I’m bracing myself for all the changes that society associates with these personal eras of transition. I expect quite a number of my living parameters to swing to new lows and new highs: amount of free time, financial dependence, and the importance of doing homework, among other things. We lose some things and gain others. It’s okay, they say, because change is simply always bittersweet. But what they don’t tell us is that it’s more of bitter at first, and the sweetness is only an aftertaste—because the pain of losing is stronger than the joy of gaining. Lately I’ve been thinking about what people mean when they say that to enter the working world is to enter the real world, which is a phrase that I’ve always complained about. It’s as if they want to say that school is an illusionary world. Of course I haven’t really worked (the sum total of my full-time working experience is the one month of internship I took last summer), and I don’t have the age and experience to have any certainty about the meanings and contingencies of being a working person. But I realized that I’ve been grasping the wrong sense of ‘reality’.